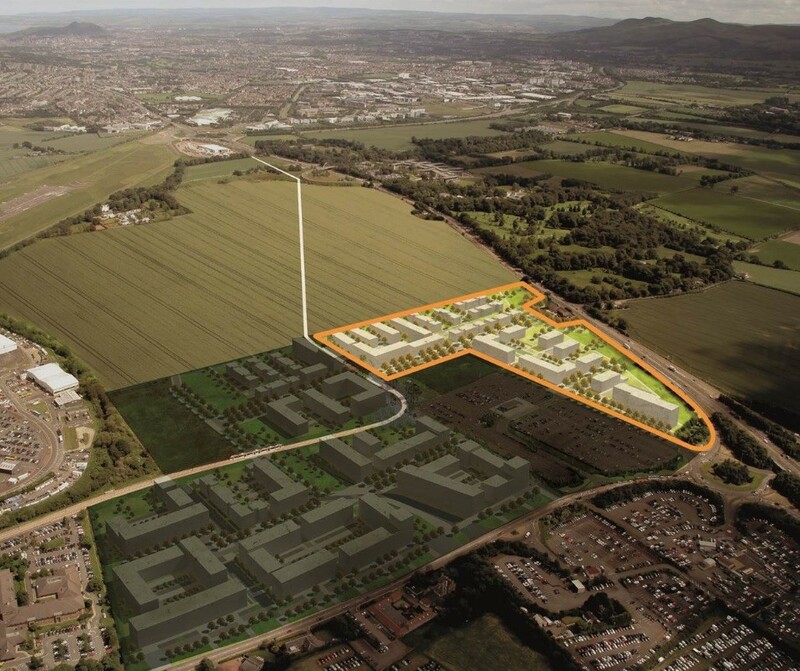 Murray Estates are seeking interested parties to purchase their proposed Edinburgh International Business Gateway development, comprising some 385k sq/ft of office space, 525 hotel rooms and 200 homes on 23 acres of land around Edinburgh Airport. Accessible by its own tram stop the 7N master planned scheme has been conceived in an effort to grow the West Edinburgh office market to counter constrained supply in the city centre. 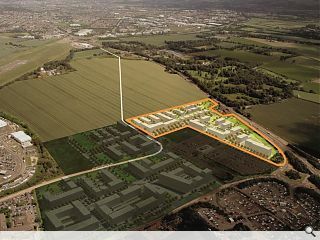 An application for planning permission in principle will be decided in the autumn. I like it. Having a thriving business hub out that way is good for everyone. And with 7N doing it, it should be well designed. Saying that, any gap sites in the city centre should be being filled first wether with housing or offices.